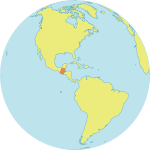 CHISEC, Guatemala – Like many girls in Pecajbá, in Guatemala, Gladys Azucena Cho Cuc was forced to drop out when she reached secondary school. The high school was simply too far from home. In rural communities around here, girls travel an average distance of about 8 km to get to class. Their commute often takes them over corn fields and rivers, and some girls spend part of their journey in the dark. These communities are largely indigenous, and many face high rates of discrimination and gender-based violence. Fearing their daughters may be harassed or assaulted, many parents pull them out of school. In March, the UNFPA-supported Opening Opportunities programme, with the United Nations Foundation, the Population Council and the Girl Up Campaign, delivered bicycles to roughly 250 girls who had been forced to drop out or who were at risk of abandoning their studies. The bicycles ease the difficulty of getting to class, and for safety, the girls can travel together. "Now I can go to high school because I have a bicycle and it's safer to travel in a group," Gladys told UNFPA. Poverty is common among the country’s indigenous communities. Many have limited access to drinking water, health services, safe roads and school. Those in the Chisec district face especially high rates of poverty. Girls in these areas tend to drop out of school and get married early. One study from 2015 showed that out of every 10 girls who are married or become pregnant, nine drop out of school. Only four of the 10 have received information about how to prevent pregnancy. But bicycles will help these girls continue their educations – which in turn will help them learn how to protect themselves from unintended pregnancy. 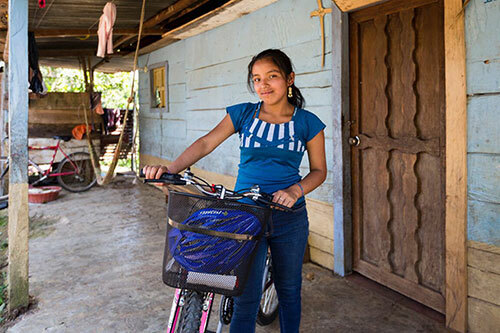 "Without a bicycle, I couldn't have continued studying,” explained Juana Toj Gómez, who is now a university student and Opening Opportunities mentor in Chisec. “The institute was so far that it took a long time to return home at night. My older sisters didn't have bicycles and they couldn't finish their studies." But bicycles are only part of the answer. 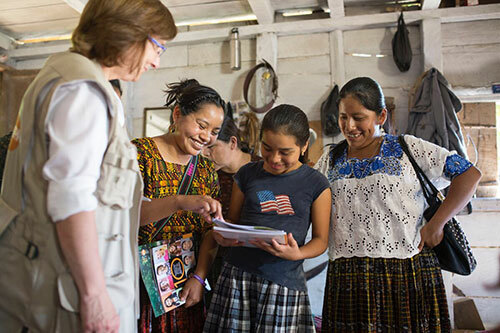 Since 2013, Opening Opportunities has worked with more than 50 Mayan Q'eqchi' communities, getting community leaders to actively support girls’ education and the prevention of child marriage. The programme has also identified 2,500 girls and adolescents who are ready to start high school – about 60 per cent of whom had already dropped out. These girls were connected with mentors from the community. The mentors are all young women, like Ms. Gómez, who speak the local indigenous language and have received training in empowering youth. In community-based safe spaces, these mentors offer lessons in comprehensive sexuality education, which includes accurate information about reproductive health, human rights, healthy relationships and gender equality. These and other efforts are helping poor, rural girls in northern Guatemala see the world differently. For those armed with information, education and transportation, barriers give way to possibilities. Over the last 14 years, the Opening Opportunities has benefitted more than 14,000 girls and adolescents in Guatemala. UNFPA has supported the programme for the past 12 years.